Griffon is one of the oldest French makes: it was founded as a bicycle company and motorcycle production started in 1902. 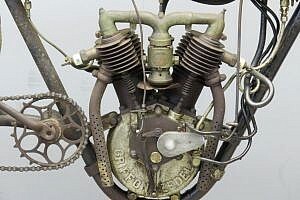 The factory was situated at the Rue Louis-Blanc in Courbevoie, Paris and for many years this make was in the foreground of French motorcycle manufacture. 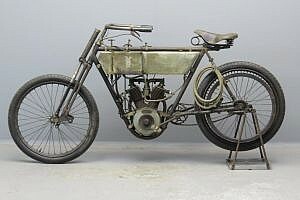 The firm was established in 1898 by Eugène Peugeot who had fallen out with his cousin Armand. 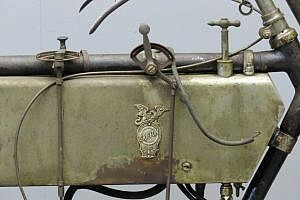 After Eugene’s death in 1907 the family relations became better and Griffon even used Peugeot engines in its late veteran period models. In the nineteen twenties Griffon was absorbed completely by the giant Peugeot conglomerate. 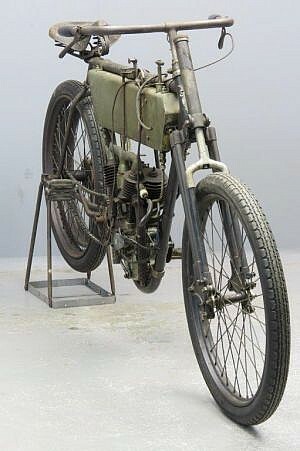 Griffon was very active in racing in the years before 1910 and their famous racing men Lamberjack and Demeester won many victories on Griffon-Zédels. The 1906 range consisted of single cylinder models in capacities of 353 and 475 cc and v-twins in capacities of 493 and 706 cc. 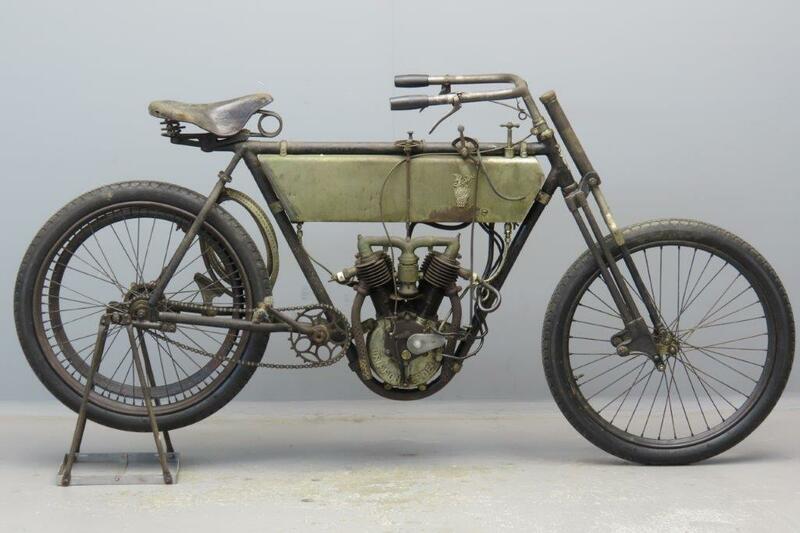 All models were fitted with the reliable and popular Zédel engines. The 3 ½ HP model could be had with rigid front forks or Griffons own suspension system and there was a choice between coil and magneto ignition. 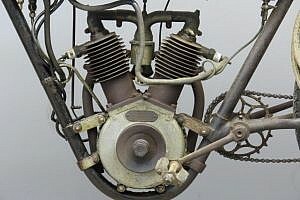 Bore and stroke of the Zédel engine are 67×70 mm. 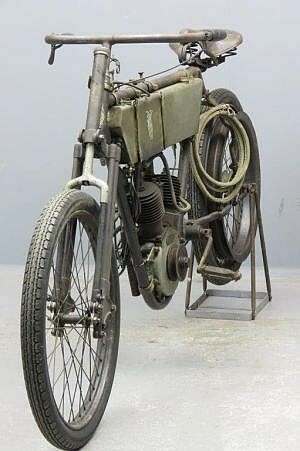 The tank holds 6 litres of petrol and one and a halve litres of oil and the machine weighs a mere 58 kg. The carburettor is a Longuemare instrument that is controlled by a lever on the tank top frame tube. This very authentic and original machine is virtually complete and is fitted with a splendid Bauriat saddle.